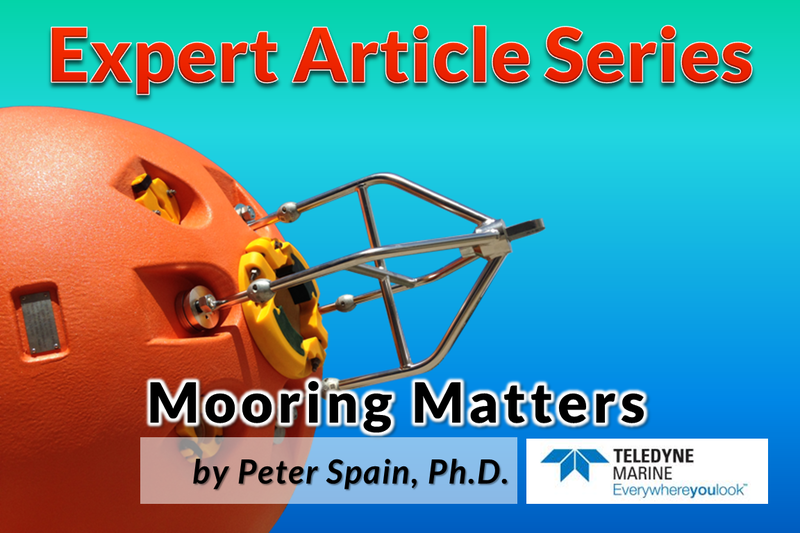 For the next installment in our series of technical articles, Dr. Peter Spain of Teledyne RD Instruments discusses the development of ADCP technology and the use of syntactic foam buoyancy in subsea moorings for sustained measurements of ocean currents. ADCPs are sonar systems that measure motion underwater. Using sound waves, they work like hand-held radars used by police to catch speeding motorists. To measure motion, ADCPs emit sound bursts along beams angled upward or downward. Sound waves propagate through the water column so echoes are returned and processed from many depths. The vertical range of this collection of measurements—called a profile of ocean current velocities—is greater for lower frequency sound waves. Next to the eastern seaboard of continents stream the largest currents on the planet. They have been well-known to seafarers for centuries. Found around the globe, these major ocean currents are energetic, narrow and deep. They exist in all ocean basins, north and south of the equator: Gulf Stream, Kuroshio, and Brazil, Agulhas, East Australian Currents respectively. These strong currents move much warm water poleward from low latitudes; thus, they redistribute heat for the earth’s climate system. On shorter time scales, they affect regional and local weather. These flows transfer organisms, nutrients, chemicals, debris, and pollutants – all affect life in and out of the sea and along coastlines. And strong currents affect routes selected by shipping. Crucial ocean currents have been studied to measure their structure, transport, and fluxes—and, in recent times, their changes on seasonal and longer times scales. In ball-park numbers, these flows span 100 km, move faster than 100 cm/s, and carry 100 times the outflow of the world’s largest river. Measuring these currents has been challenging. To capture their extent, measurements need to reach deep. To resolve changes over time, measurements need to be sustained. And to survive, persistent measurement methods need to withstand the energy of these powerful currents. For example, surface drifters, floats, and gliders are quickly swept away in strong upper-ocean currents. Programs making long-term measurements of important currents rely on resilient moorings. And for measuring strong currents in the upper ocean, these moorings carry ADCPs. 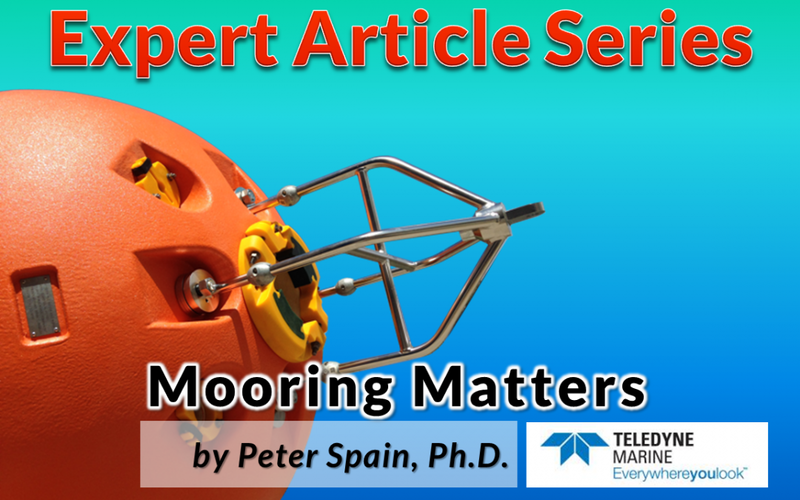 In this two-part report, we first review some background to moorings carrying Teledyne RDI ADCPs mounted in DeepWater Buoyancy buoys. Then we look at sustained measurements of crucial ocean currents in some less-familiar places. 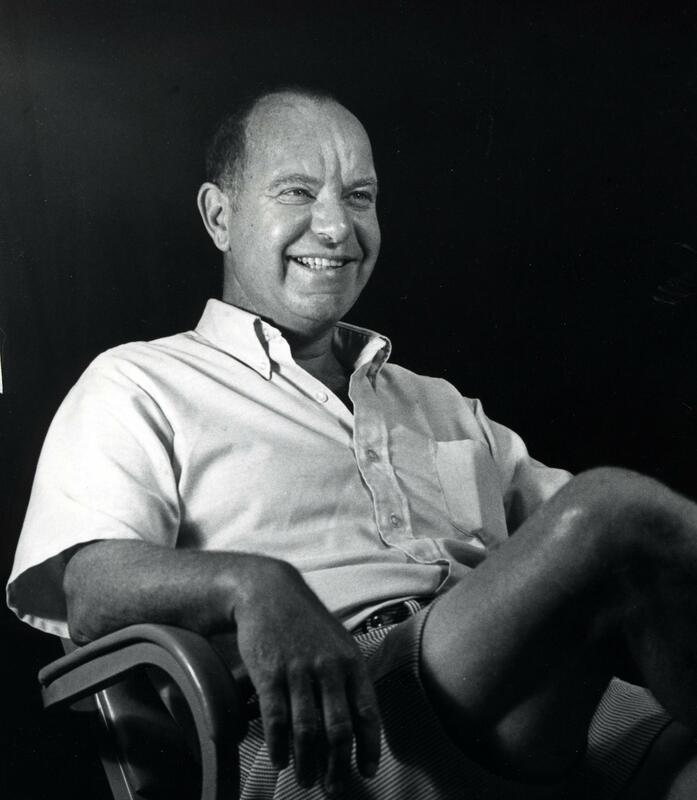 Almost 60 years ago at WHOI , William. S. Richardson launched the modern era of ocean-current metering. For studying deep-sea currents—notably, the Gulf Stream—he identified and invented two essential tools: a recording current meter and an unattended mooring. Richardson’s intent for the mooring was to suspend current meters at several depths. The meters would record long time-series of currents simultaneously. For studying currents across large areas, Richardson deployed several moorings. Over the next two decades, the Buoy Group at WHOI engineered this reality. Their impressive results were hard won in the harsh and unforgiving environment of the deep sea. 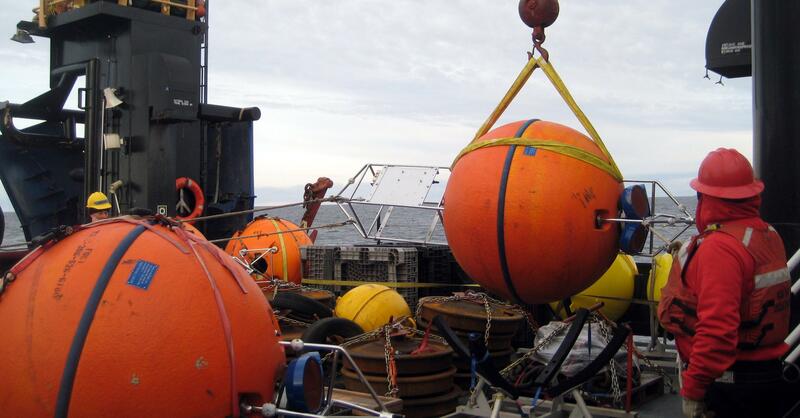 You can read more at this link: 50-years-of-the-whoi-buoy-group. For the UK story, see this PDF: UK_moorings.pdf. Along the way, one key problem was mooring loss. A leading culprit was large drag force caused by strong currents. The adjacent graphic shows a section of the Gulf Stream in the upper 2000 m. Speeds are directed along-stream. Notice the extreme current speeds in the upper ocean and the large spatial gradients. For recording currents accurately, the meters need to hold position in three dimensions. The mooring must therefore be taut. To this end, sizable buoyancy is added to the mooring line. Yet, unavoidably, these elements increase drag forces exerted by strong currents. Besides sweeping away moorings, strong drag forces caused mooring lines to pull apart (part way up) or to blow-over. The latter mooring motion carried instruments and mooring elements in large vertical excursions: 300-500 m in a tall mooring. See Fig. 4. These excursions confounded interpretation of measurements. 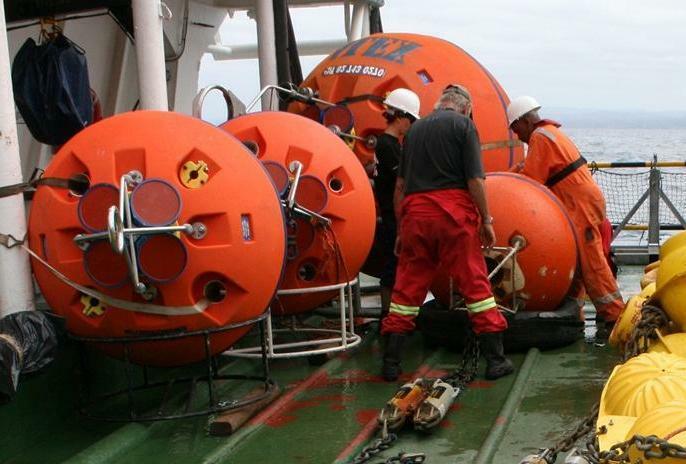 Worse, the mooring could sink when in-line buoyancy was crushed by high pressure at unplanned depths. By the mid 1980’s, the design of both moorings and current meters had evolved substantially. Fig. 5 shows typical designs. Highlighted are important changes in mooring components. Notice the change in where buoyancy is added. 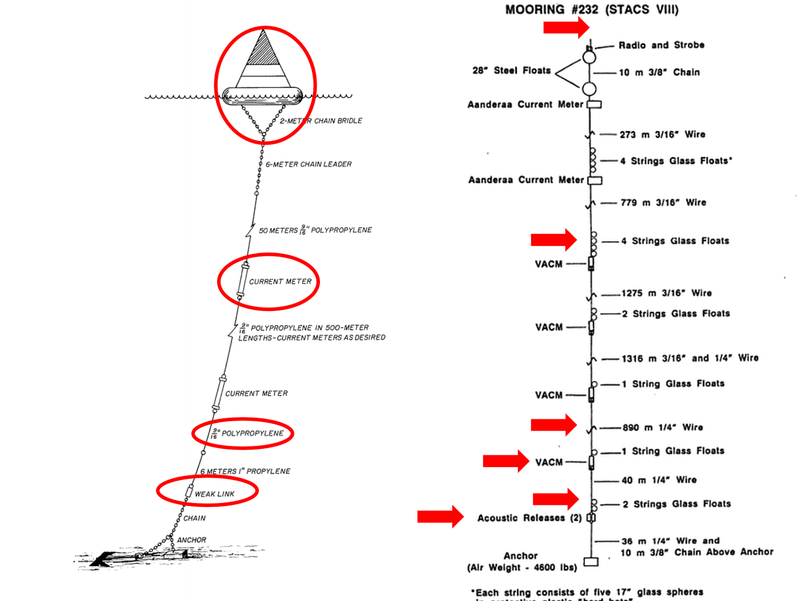 One strategy to decrease mooring losses was reducing drag. Major currents have strong near-surface speeds. To avoid these, moorings that terminated subsurface were developed. Many were topped with large spherical buoys. They provide the same buoyancy for less drag than smaller options. To solve the crushing problem during severe blow-over, these large spheres were made of syntactic foam. 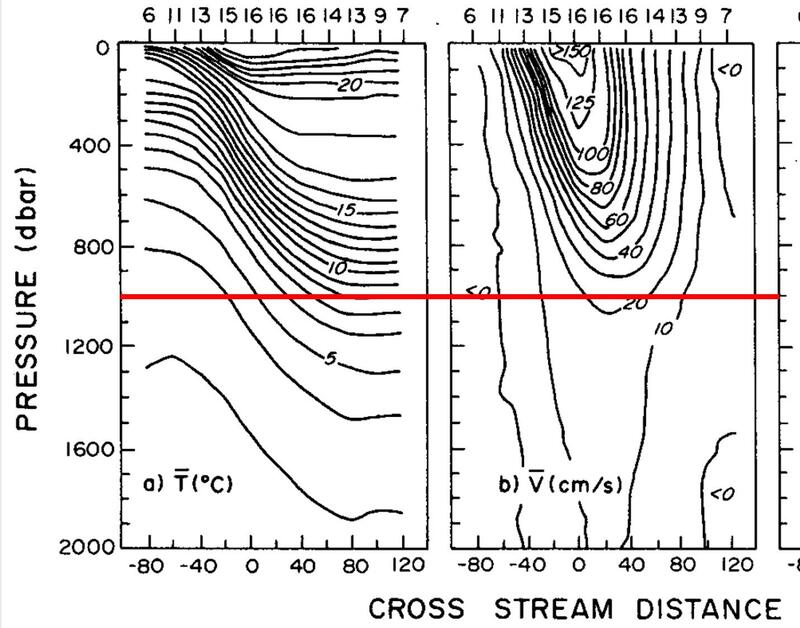 From the mid 1980’s, ADCPs provided a new solution for measuring strong surface currents. A mechanical current meter must be immersed in the flow it measures. In contrast, ADCPs are sonar systems; they can measure current velocity remotely. They emit an acoustic signal and then process the informational content of returning echoes. Scientists realized that ADCPs looking upward could be used to measure strong surface currents while deployed in slower waters below. This helped reduce drag on the mooring. To this end, ADCPs were mounted in the flotation buoy atop subsurface moorings. Pioneering this approach was Friedrich A. Schott at University of Miami. 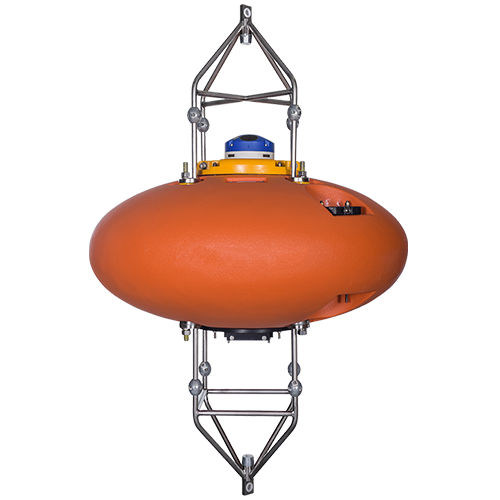 DeepWater Buoyancy’s antecedent, Flotation Technologies, developed these buoys as standard kit for ADCPs. Using syntactic foam for flotation elements permitted custom designs. Notably, a cylindrical instrument well was inserted along the vertical axis of the large spheres. Housing ADCPs in this sheltered location reduced current drag on the mooring. Since the late 1980’s, ADCPs have been commonly mounted atop a subsurface mooring within a collar of syntactic foam. To further decrease drag on the mooring, new designs evolved for syntactic flotation buoys. An elliptical-shaped float that is more hydrodynamic became a common component on many deep sea moorings. 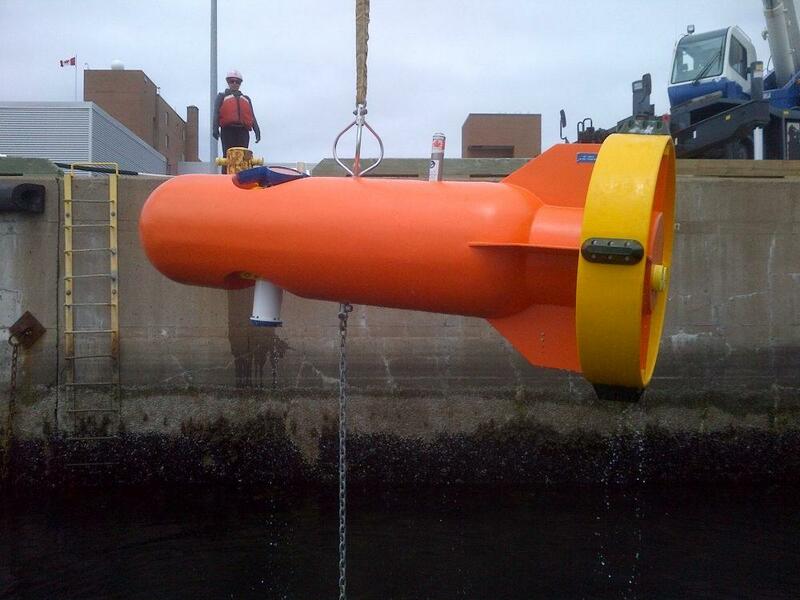 For measuring very strong currents, such as tidal streams, a torpedo-shaped buoy is now state-of-the-art. This approach reduces drag and increases stability in pursuit of moored nirvana—low tilt and minimal vertical excursions. A mix of methods is needed to clarify the long-term effects of global warming. Moored arrays in major ocean currents provide an essential ingredient. Insights have come from researchers using computer models and satellite-based observations. And drifters, gliders, and floats can provide snapshots. Yet there is no substitute for hanging around in these deep and energetic flows. For scientists to see long-term trends and large-scale connections, moored arrays must collect sustained time series. And for collecting this information Teledyne RDI ADCPs mounted in DeepWater Buoyancy flotation provide a go-to combination. In Part 2 of this report, we review some compelling examples of moored ADCP arrays measuring crucial ocean currents around the globe.